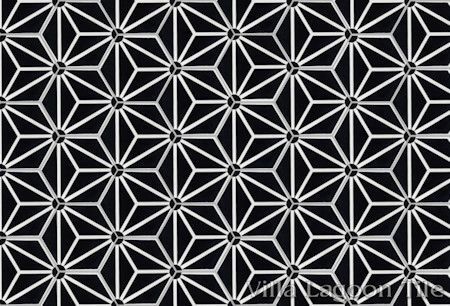 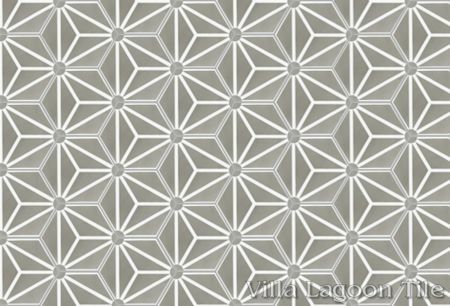 This geometric cement tile design we call "Atlas A" is all about division. 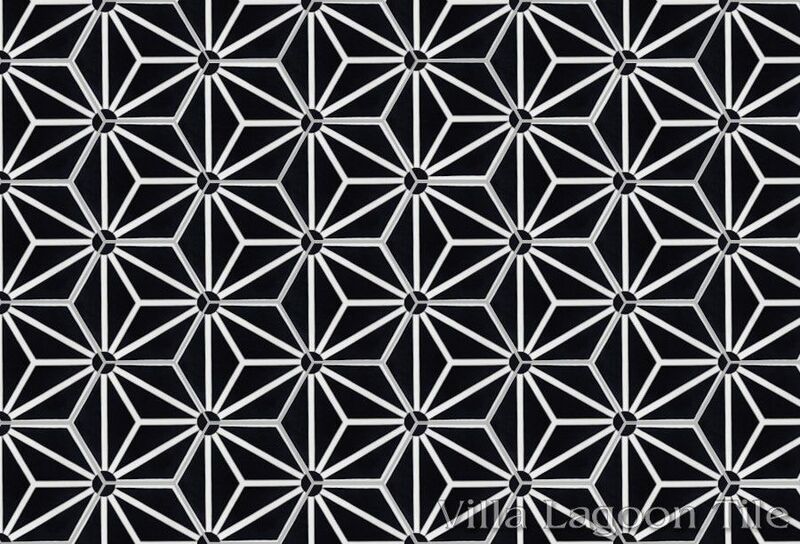 The hexagon is divided into diamonds and triangles, building an interconnected scaffolding of geometry's strongest shape. 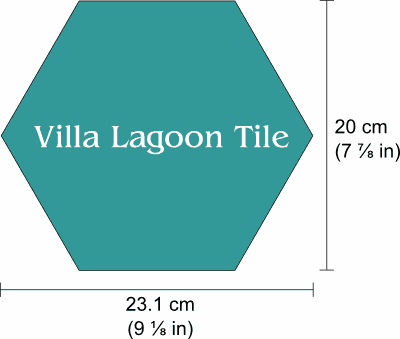 Essentials Price: $3.99 per tile ($10.77 / square foot) 5.22 square feet. 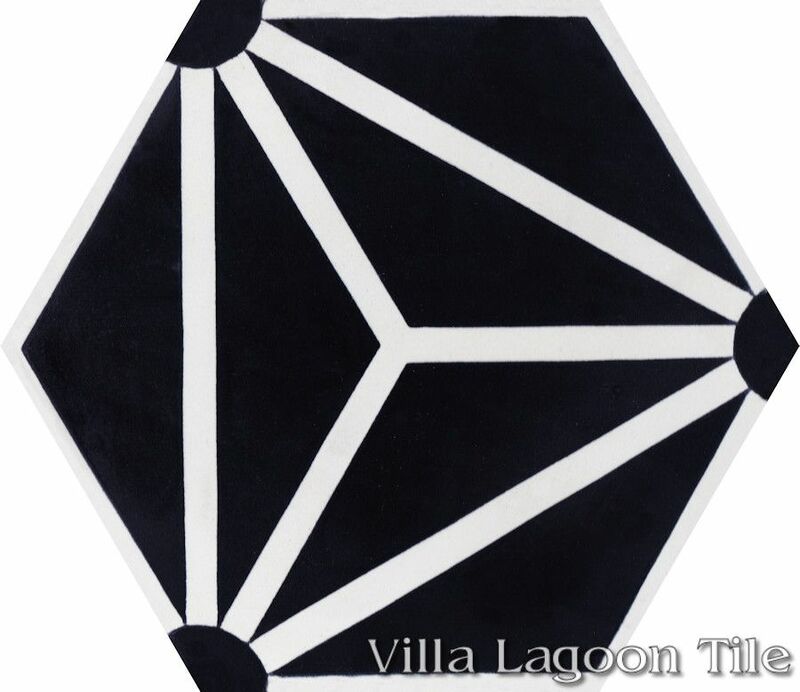 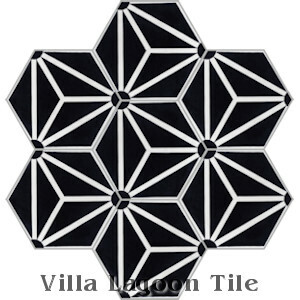 Villa Lagoon Tile's "Atlas A" cement tile pattern using Black and White from the South Beach Palette. 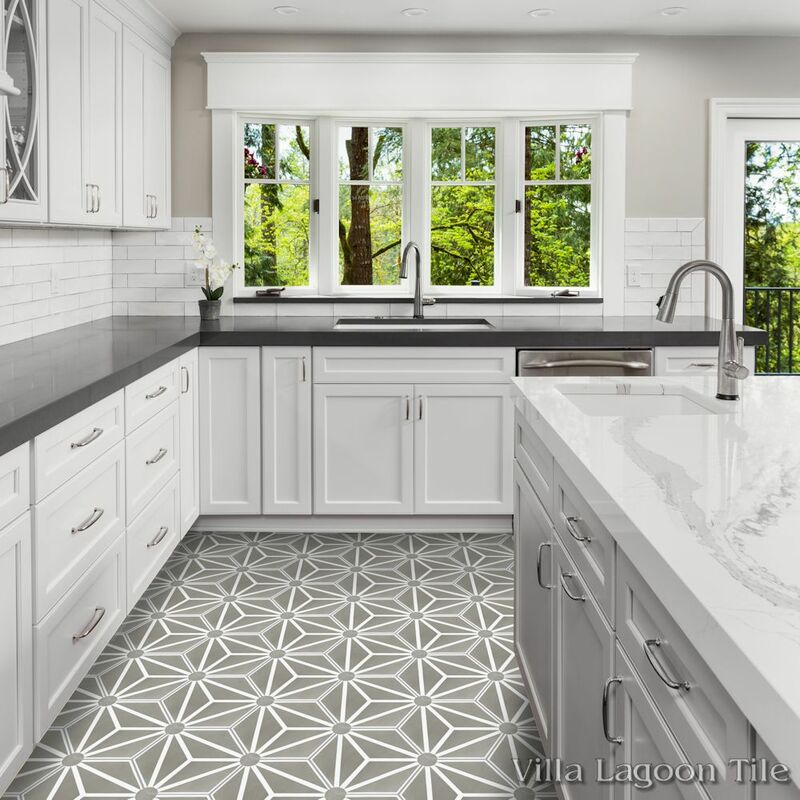 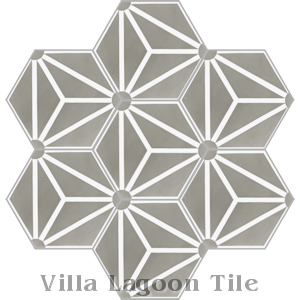 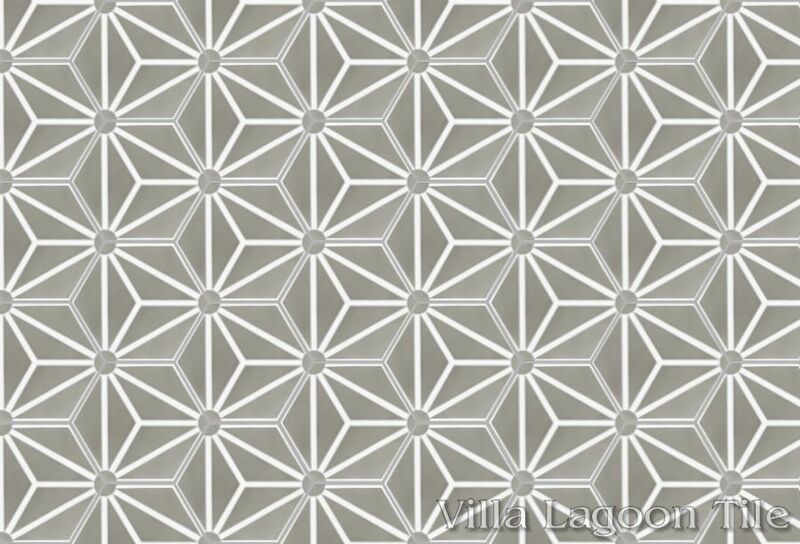 Villa Lagoon Tile's "Atlas A" cement tile pattern using Heron Gray and White from the South Beach Palette.